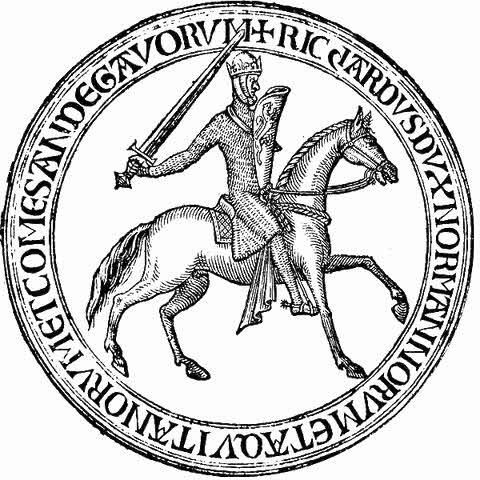 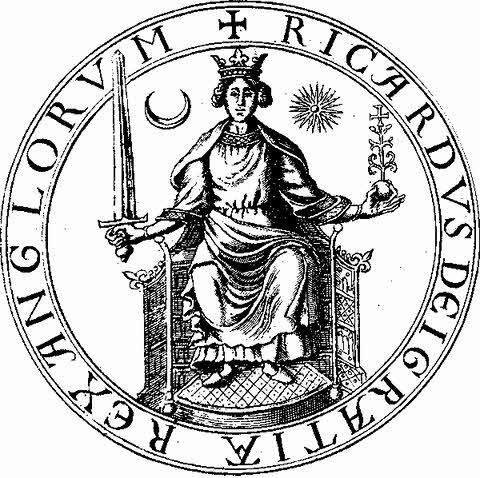 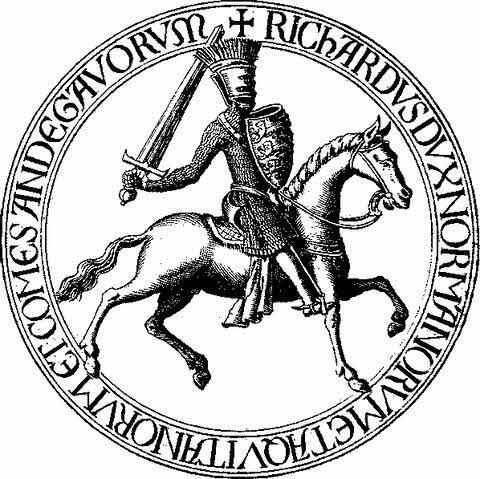 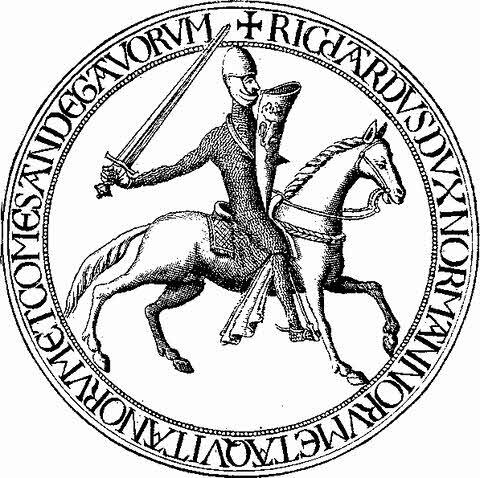 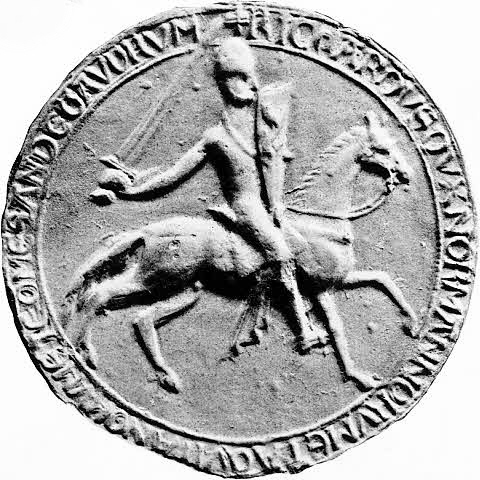 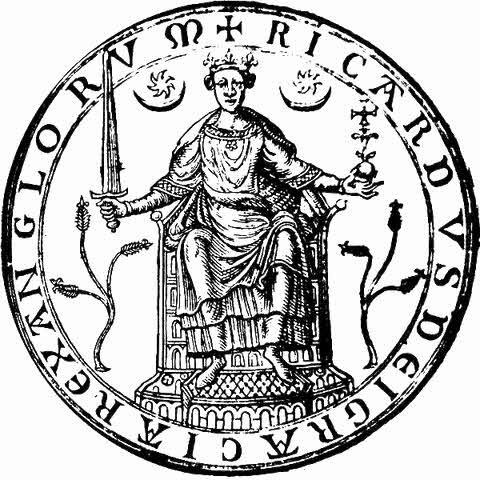 Richard is the first king whose shield has any sign of armorial bearing. 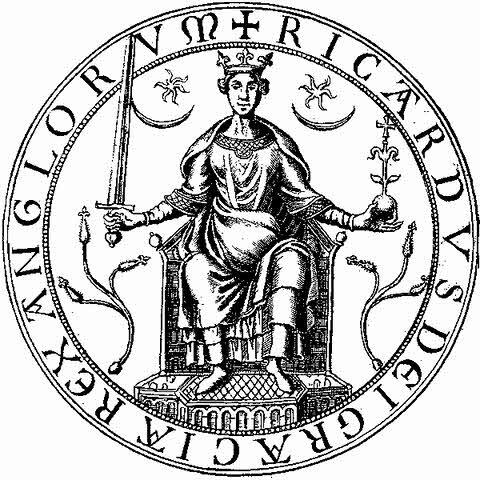 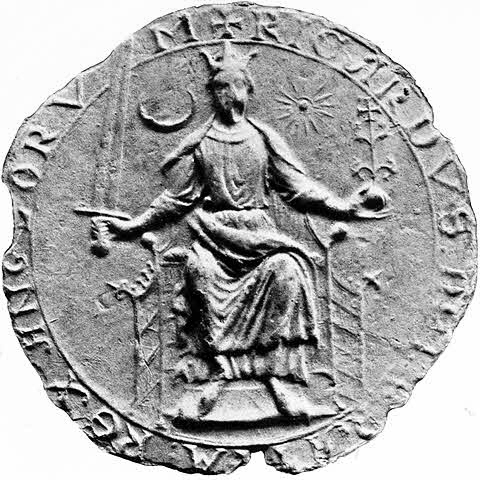 The first seal shows a lion, the second seal shows three lions passant gardant. 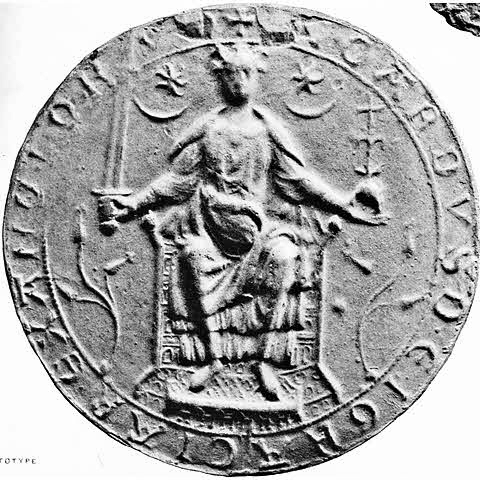 First Seal - 1189 to 1197? 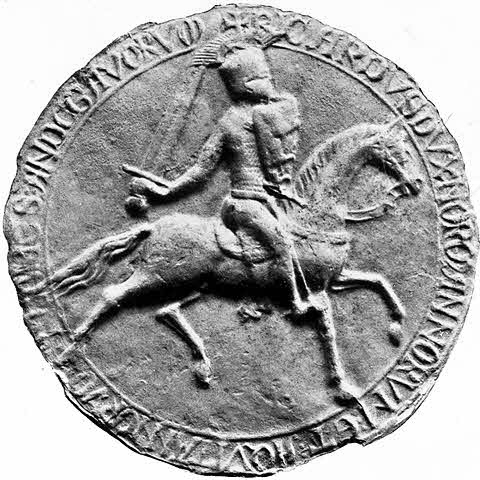 - 3.9"
Second Seal - 1197 to 1199 - 3.7"